Regular electrical inspection and testing of electrical installations is becoming continually more important, as Health and Safety regulations become ever more stringent. Therefore it is vital to maintain electrical installations in existing premises, extensions and new buildings, to safe standards. Periodic inspection and electrical testing by Jacksons Electrical Services will reveal any defects that could be a safety hazard, which will be detailed in an Electrical Installation Condition Report. The electrical wiring circuits within buildings, if not checked regularly, can be a major cause of fire or injury and insurance companies are now demanding guarantees of electrical safety. If an avoidable accident should occur, then under current legislation, liability falls on the owner of the premises. Current regulations advise regular inspections and preventative maintenance are the best way to prevent unforeseen incidences. Portable appliances also require regular inspections and tests through PAT Testing to comply with Health & Safety regulations. 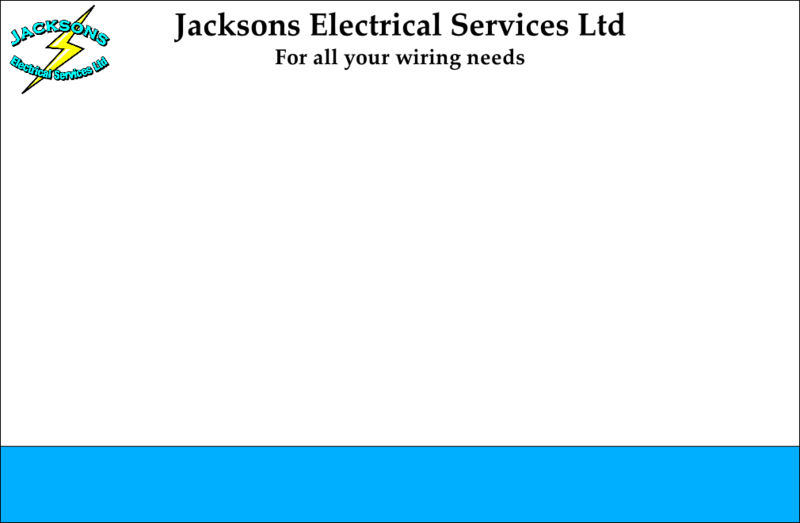 Jacksons Electrical Services are registered with NICEIC, the UK’s leading regulatory body for the electrical contracting industry. Whether your requirement is for commercial electrical testing on office premises, retail outlets, industrial sites, hotels, residential homes, or small domestic properties, we can carry out all your electrical testing, in compliance with the required standards at a competitive price.